Preparation that only takes a moment but creates lasting flavour. 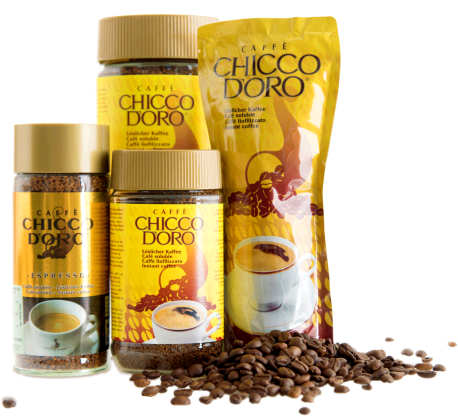 Caffè Chicco d’Oro soluble coffee has the best qualities of good coffee that can be prepared and enjoyed in an instant. It is available in various types that range from a traditional jar to refill packs to single-use sticks. The Caffè Chicco d’Oro Liofilizzato line’s value comes from the quick, practical preparation combined with high-quality mixes.